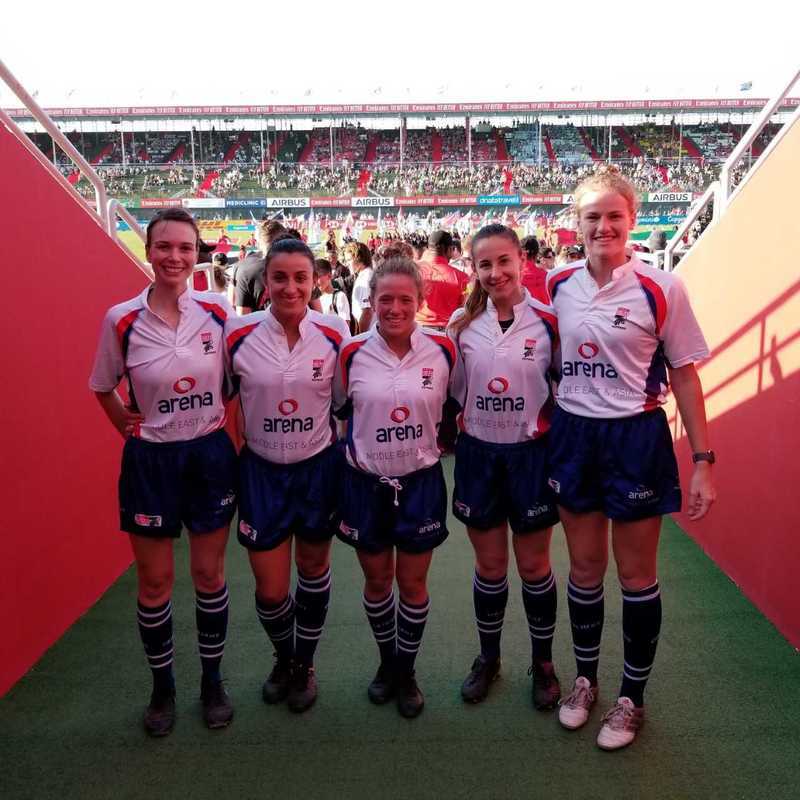 Shanda Mosher-Gallant was appointed to referee the Women’s Invitational Sevens in Dubai, a great achievement for the young official. Only starting her officiating career a couple of years ago, Mosher-Gallant’s commitment to development earned her the coveted appointment and international recognition. The allocation also shines a light on BC Rugby and Rugby Canada’s progressing officials’ programs that strives to support the success of young referees. We took a moment to sit down with Shanda and ask her a few questions. Here is our conversation with one of the upcoming stars in the rugby refereeing world. BL Shanda, can you tell us a bit about yourself. Where are you from and how did you get involved in refereeing? SMG I am 25 and from PEI originally but living in Vancouver for about a year now. I started refereeing as a way to be involved in rugby in the off season on the East coast, but after injury I stopped playing and started focusing on refereeing. That was about 2 years ago. BL You have just come back from Dubai where you had the opportunity to referee the Women’s Invitational final on the main pitch. What was that experience like, and what were some other highlights of the tournament? SMG Getting to do the final was so cool! The stadium there is amazing and getting to be involved in a game of that caliber was pretty awesome. I really enjoyed being immersed in rugby for 3 whole days. Dubai Sevens is a unique place with so much rugby packed into one long weekend. BL What other highlights of your refereeing career have you experienced so far, and where would you like refereeing to take you? SMG I really enjoyed being a part of the Senior Women's and U19 Men's Canadian Rugby Championship in Saskatchewan this year. Being involved in the BC Premier League on a regular basis has also been a great experience. I want to be able to referee as much as I can. If that takes me places, then that is a huge bonus. BL How do you think your experience so far has impacted your life outside of rugby? SMG I have learned to develop my communication skills. Words do not come naturally to me, but rugby has motivated me to be a more effective communicator. BL Do you have any advice or insight you would give to new referees, especially young women involved in the game? SMG Referee because you love rugby. If you have a good why, the players, coaches and spectators will appreciate your contribution to their game. BL What do you think is next for you? SMG Rugby in BC has paused until January. I will take a long nap and be ready for whatever comes my way. If you are keen to get involved as a referee, please visit training.rugbycanada.ca or you can reach out to your Provincial Rugby Union here.